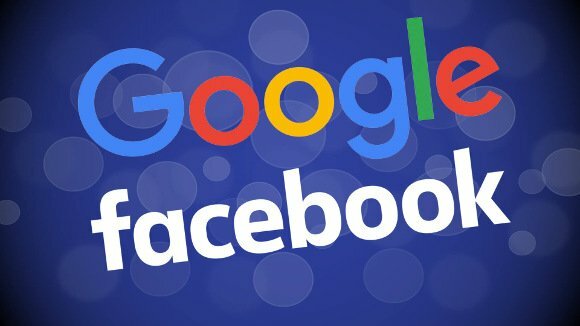 GOOGLE CENSORING & HIDING THE CRIMES OF FACEBOOK EXPOSED!! Big Monopoly Illegal Free Speech Censorship = Executive Order to Seize Assets! Scumbag Congressman Billy Long from Missouri Auctions-off Laura Loomer! Congress Not Working for the American people! Exposed! CORRUPTION OF THE U.S. FEDERAL JUDGES EXPOSED. Our previous Jun. 12, 2013 post that analyzed the substantial holdings of Facebook financial interests by OBAMA-APPOINTED JUDGE LEONARD P. STARK in the Leader v. Facebook patent infringement trial disappeared! We have now restored it for your review in how the Deep State shadow government corrupts our federal judges. AFI. (Dec. 06, 2012). Remember to download the PDF version of the article linked in the author/date header. This helps defeat web censoring by making many copies of the article that can be reposted and sent around by email. A "forum" of 131 self-styled "elites" from 21 countries is meeting in Chantilly, Virginia at the Westfields Marriott hotel behind a heavily guarded, fenced-off compound—despite the fact that many of them support open borders! Strangely, this collusion among bankers, politicians, spies, money launderers, drug dealers, technology providers, pedophiles, human traffikers, satanists, arms dealers and eugenicists has received almost no mainstream media coverage in the U.S. outside the patriot real news media and the British press—even though it is arguably a much more significant meeting of world leaders than the G8. Thankfully, Infowars' David Knight and Owen Shroyer are there, as is Canadian Dan Dicks from Press for Truth. Watch as the Bilderberg participants arrive at Dulles Airport and systematically refuse to answer basic Dan Dicks questions about the proceedings that include public officials, includng Sen. Lindsey Graham and Sen. Tom Cotton, in likely violation of the Logan Act (unauthorized citizens who negotiate with foreign governments). Rogue CIA - Facebook, Google, Federal judges, the Federal Bridge Certification authority, abuse via NSA spyware - Palantir abuse of privacy & Bush New World Order Bilderberg connection. Attention AIM - If you want more info on this Federal Bridge Certification authority abuse, see the work and videos of Able Danger! 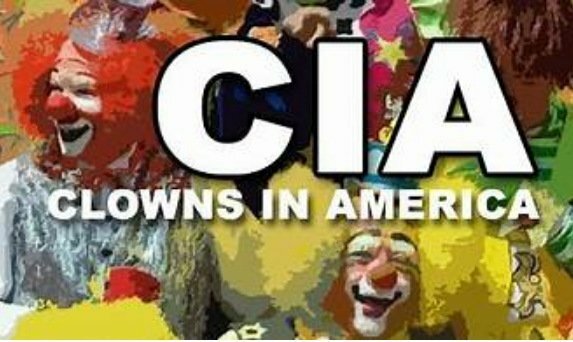 BILDERBERG MEETINGS USED FOR CORRUPT FUNDING CAMPAIGNS FOR FACEBOOK - CIA CRIMES EXPOSED. The Bilderberg participants include at least 3 companies and individuals who were major beneficiaries in the May 18, 2012 Facebook intitial public offering— very evidently the funding kick off event for the New World Order run by the Deep State shadow government and policed by a rogue C.I.A. THE CIA, CORRUPT JUDGES AND FEDERAL ACTORS STOLE FACEBOOK FROM THE ORIGINAL DEVELOPER LEADER TECHNOLOGIES, EXPOSED! LARRY SUMMERS - GEORGE SOROS - BILDERBERG BANKING CARTEL SCAMS EXPOSED. Larry Summers was at Bilderberg 2017. 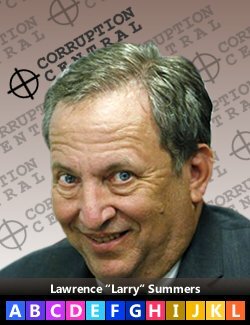 Consistent with the stream of lies and deceptions of the Bilderberg globalists, Harvard's Lawrence "Larry" H. Summers attended Bilderberg and refused to answer even simple questions from the public by Press the Truth as he departed from Dulles Airport. 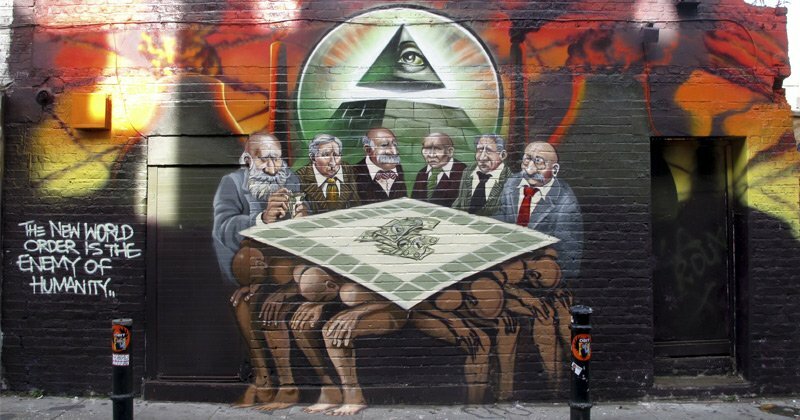 BILDERBERG CRIMINALS AND GLOBALISTS EXPOSED. Summers has been at the center of the New World Order globalist plan since George H.W. Bush days. He forced the ill-fated privitization vouchers on the Soviets at the World Bank, He was Bill Clinton's former Treasury Secretary, Obama's bailout director, Russia's Mail.ru Yuri Milner's banking coach, Facebook's Sheryl K. Sandberg's mentor, and Silicon Valley's Instagram director where his former chief of staff Marne L. Levine (Deutch) is the chief operating officer. Watch "no comment" Summers squirm when Press the Truth asked him about his participation at Bilderberg. Normally, Summers is all too eager for publicity and attention. Yet tellingly, even though he was just sitting in Dulles Airport waiting for his plane following his Bilderberg participation, he was uncharacteristically tight-lipped. Public figures do not have the presumption of privacy. They are required to speak about matters affecting the welfare of the public. 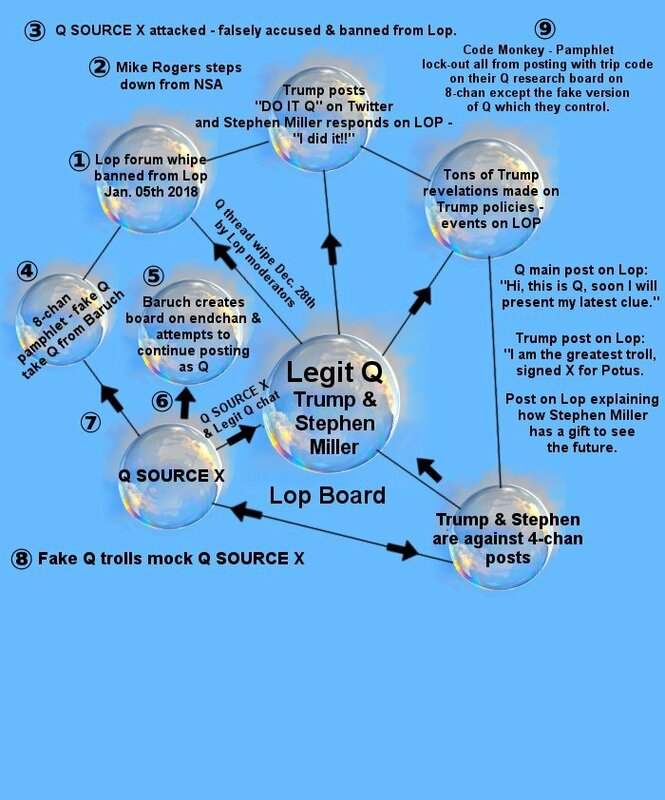 The new Anti - Q psyop by Jack Posobiec & Microchip that Youtubers fell for. Only Q SOURCE X can crack it for you! 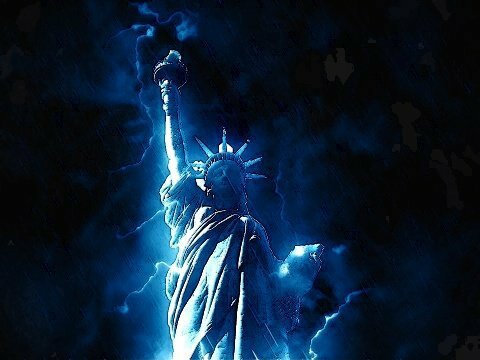 Foreign & Domestic Enemies have Taken-Over the U.S. !! Exposed!! 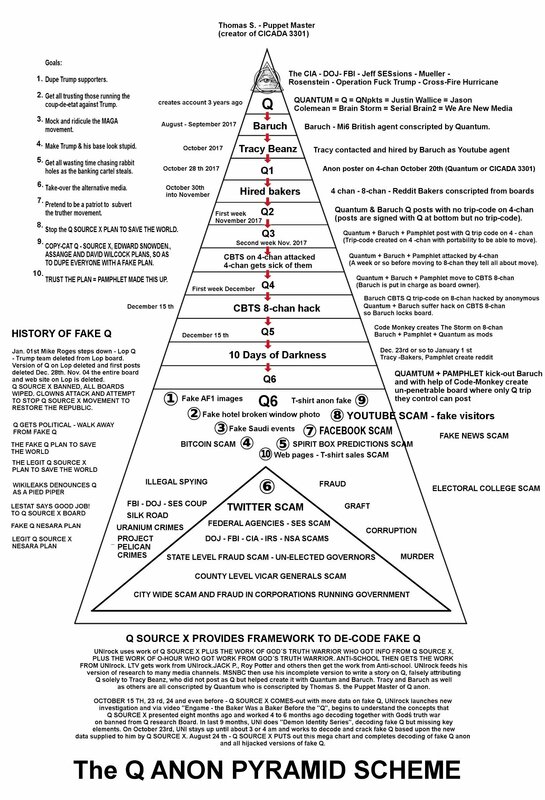 THE FAKE Q GRAND PYRAMID SCHEME EXPOSED. 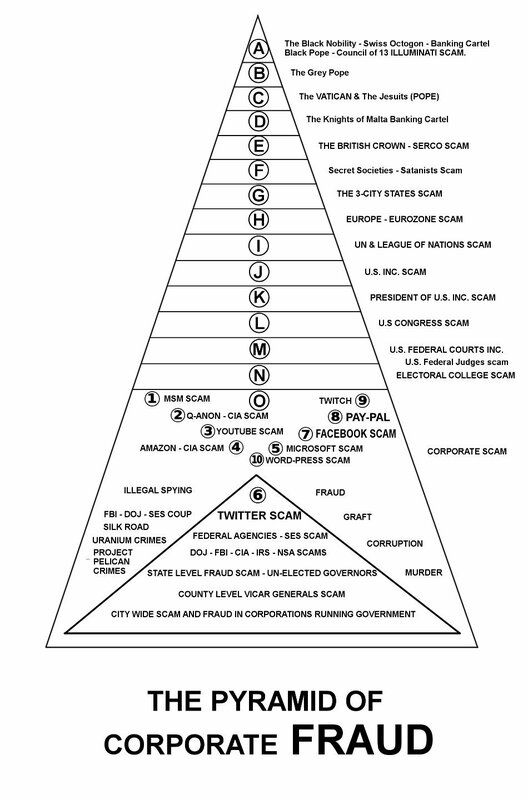 THE PYRAMID OF CORPORATE SCAM & FRAUD EXPOSED!! The Khazarian mafia will never surrender. They are part of the New World Order Grand Pyramid scheme. They are not under martial law in the same way the U.S. has been since the Civil War which never ended. They have a military state in the same way the U.S. does. The U.S. is under a permanent state of martial law and military rule and every year the illegitimate Congress renews this state. Both the U.S, Israel, Washington, The Vatican, Rome, Switzerland are part of the New World Order Pyramid Power Structure. The Power Structure Hierarchy of the New World Order Pyramid. Trump is part of this scam and is a globalist NWO agent pretending to not be a part of it! 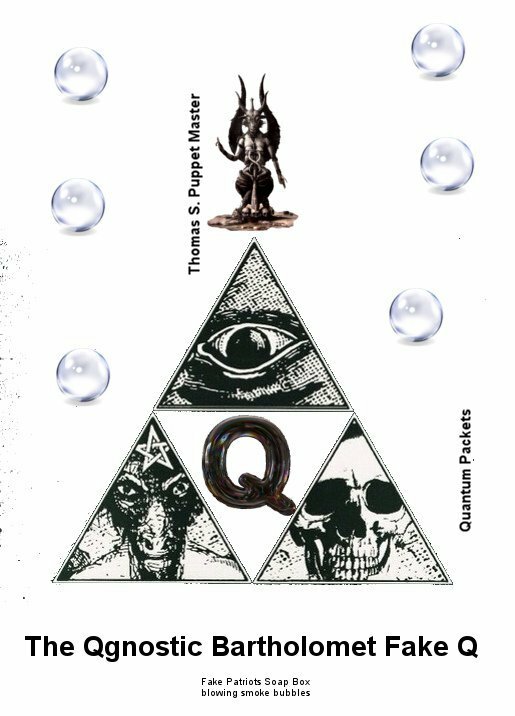 Serial Brain2 = Quantum = Q ANON! Ping-pong between Serial Brain2 - Liberty Lioness Exposed!!!! The Clowns are using fake Q to track pro Trump supporters. (The Q Anon APP developed by Jason Coleman is full of tracking bugs also). 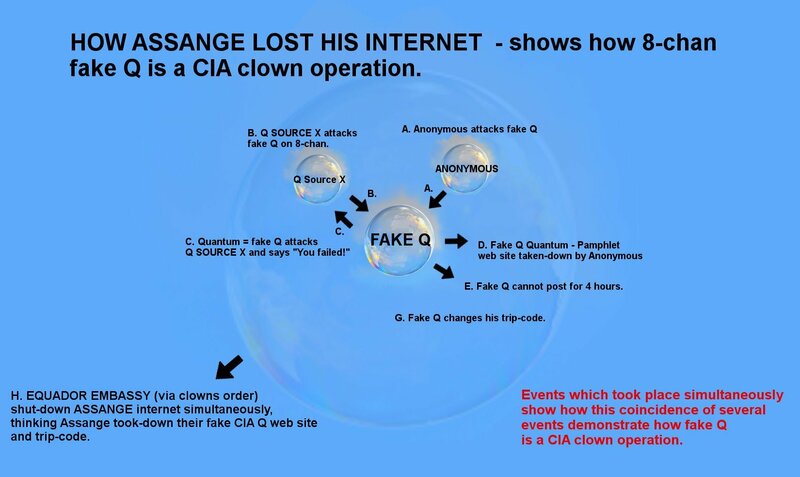 More Proof Fake Q is a Rogue Clown Operation!! WATCH AS FAKE Q BURNS! Fake Q = QUANTUM = Serial Brain Failed. Anonymous, Q SOURCE X & AIM Expose fake Q Anon!!! The KEK - Fake Q - CICADA 3301 Mind Virus MEMETIC WARFARE Exposed. 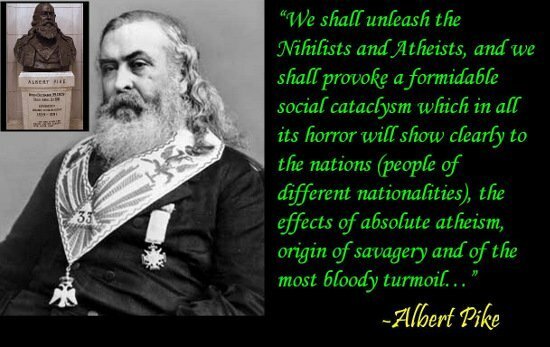 Albert Pike, Trump & The Luciferian Fake Q "Trust The Plan" exposed! 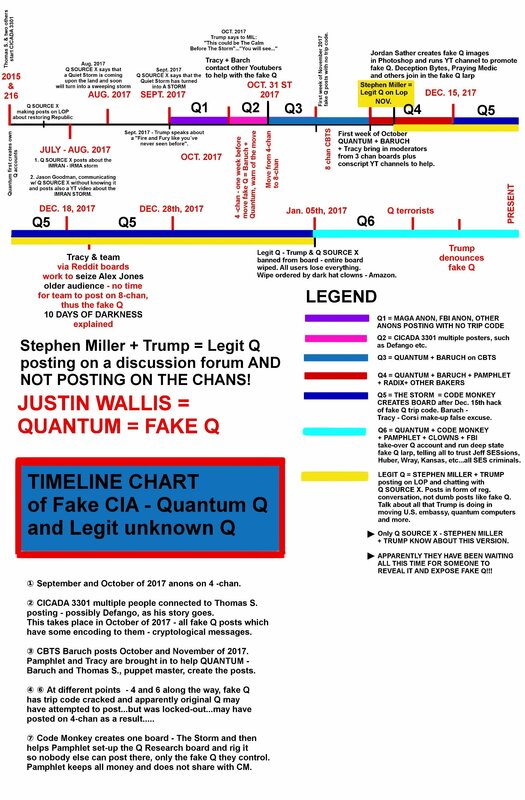 Legit Q was connected to Trump - ALL VERSIONS OF Q ON THE CHANS ARE FAKE - explained! Warning: Fake Q Is A Dangerous Cult! A Pyramid Ponzi Scheme - Exposed! The War Room Economy & ANONIMOUS Expose fake Q and Trump banking cartel agent! Fake Q Failed! 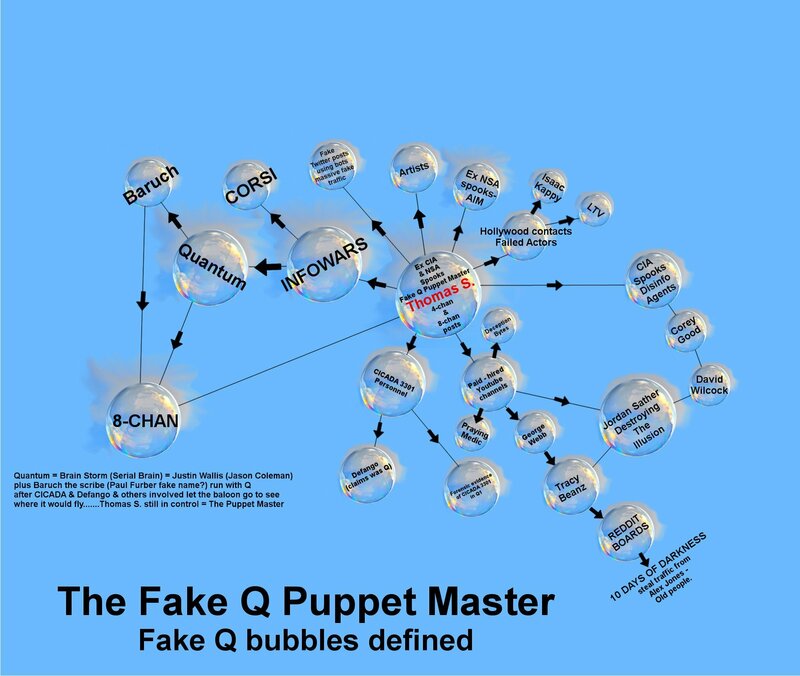 Qnpkts = Quantum = BRAIN STORM = current Q - Proof!